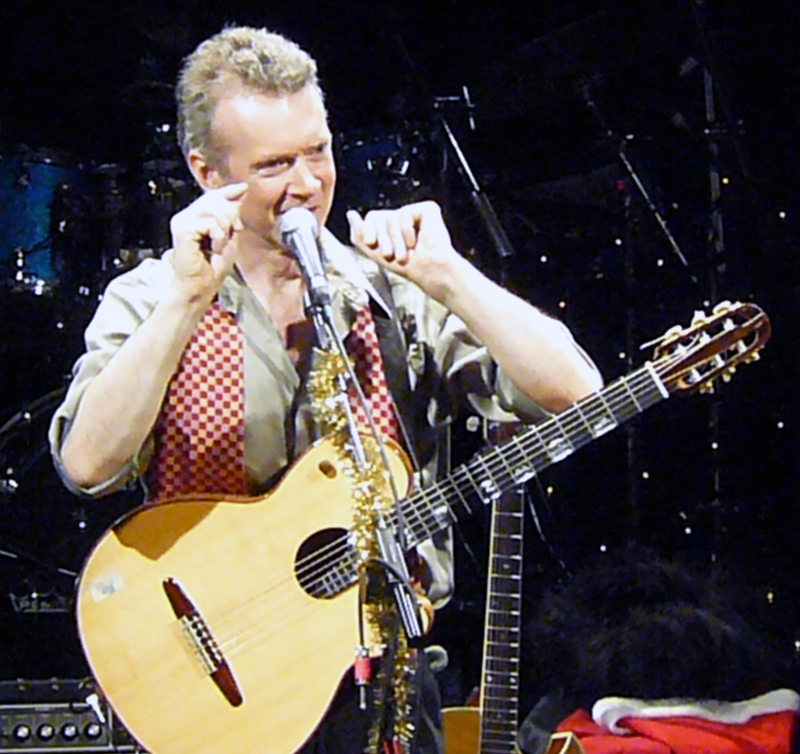 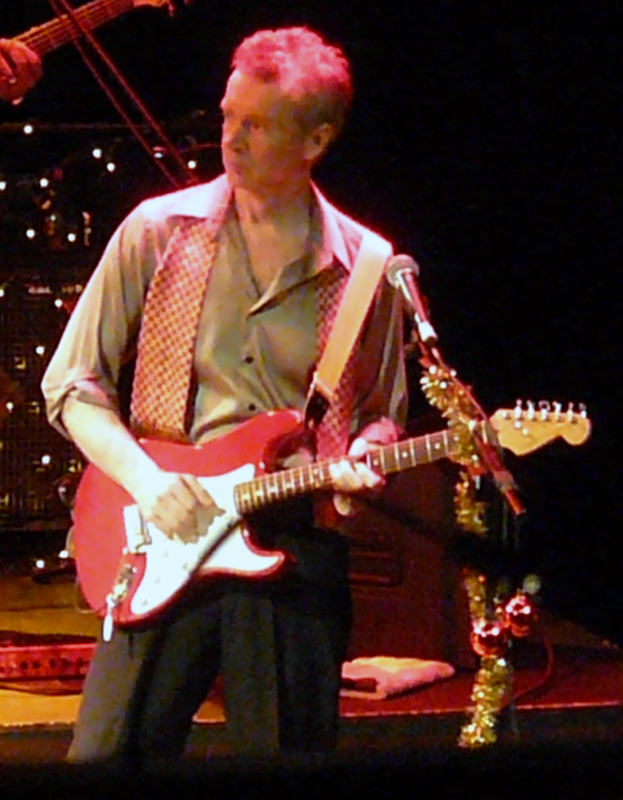 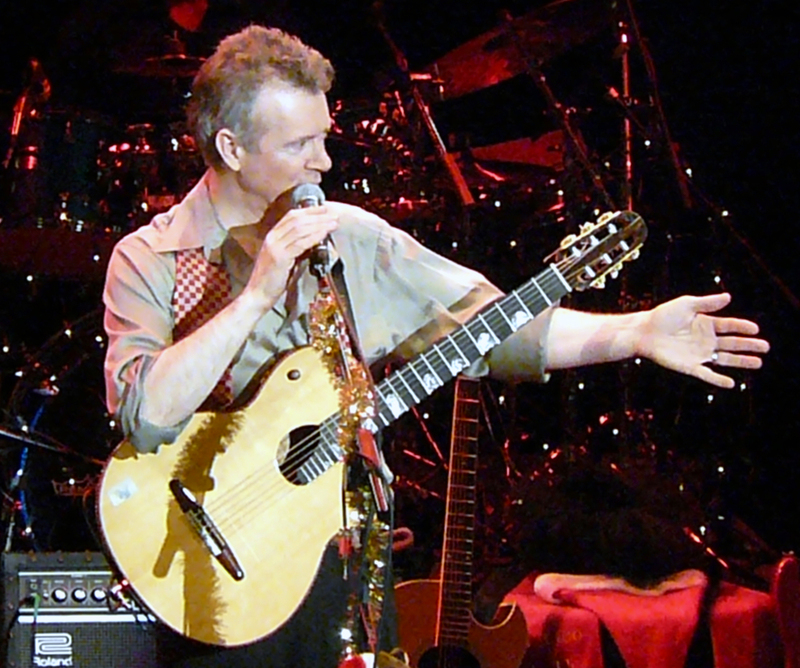 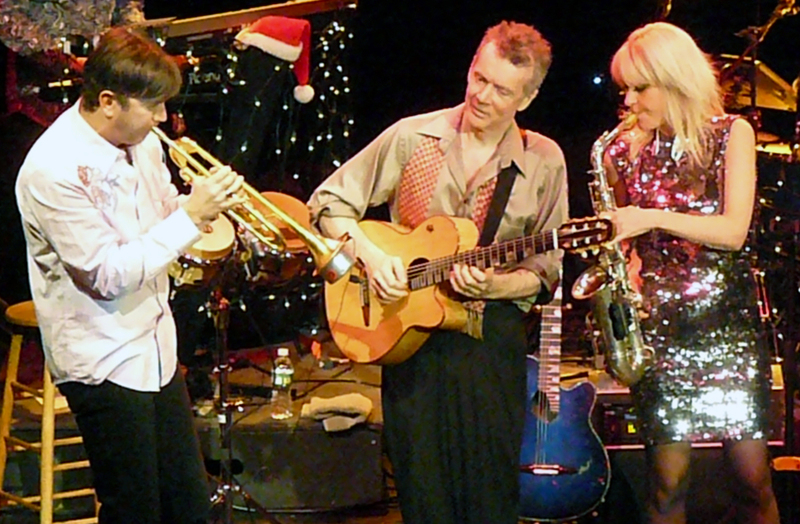 Friday night at 9:30, I attended the later of two Peter White Christmas concerts at IMAC in Huntington. 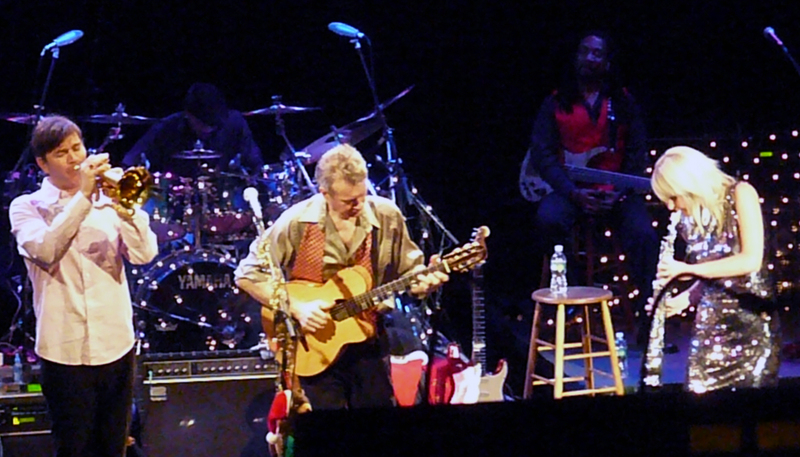 It was the fourth year in a row that I attended the concert. 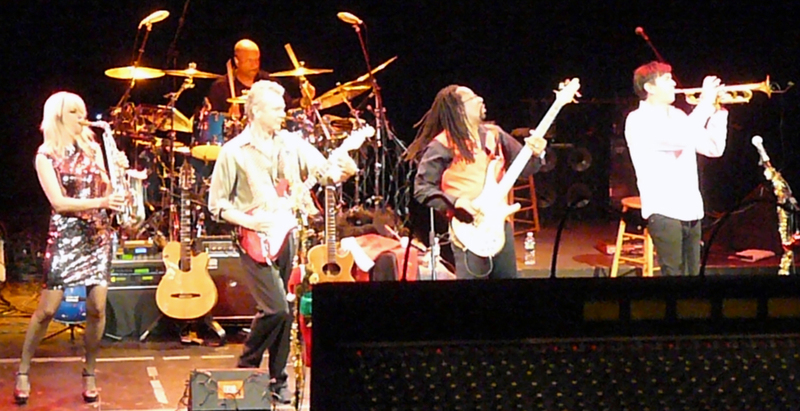 I was seated in the first row of the center left section, a few seats to the right of where I sat for Guitars & Saxes in October. 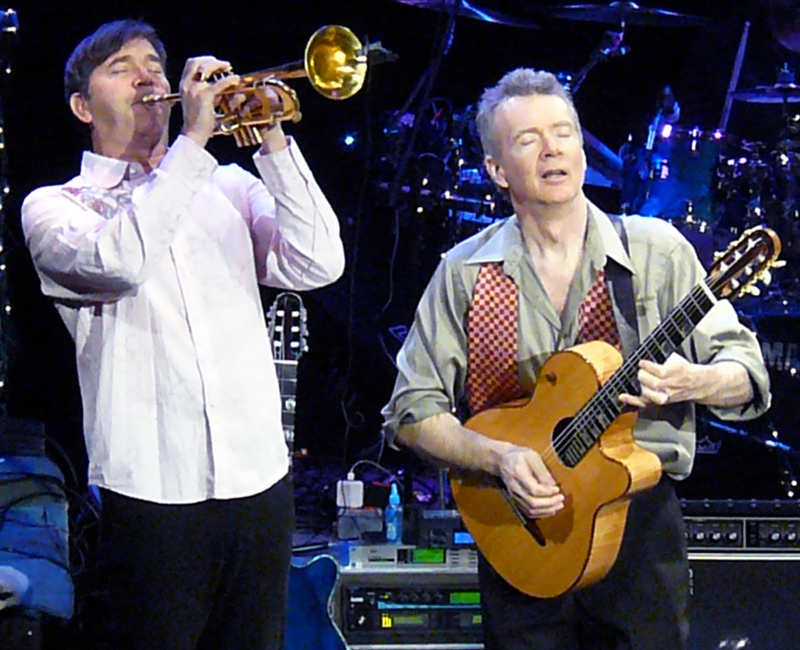 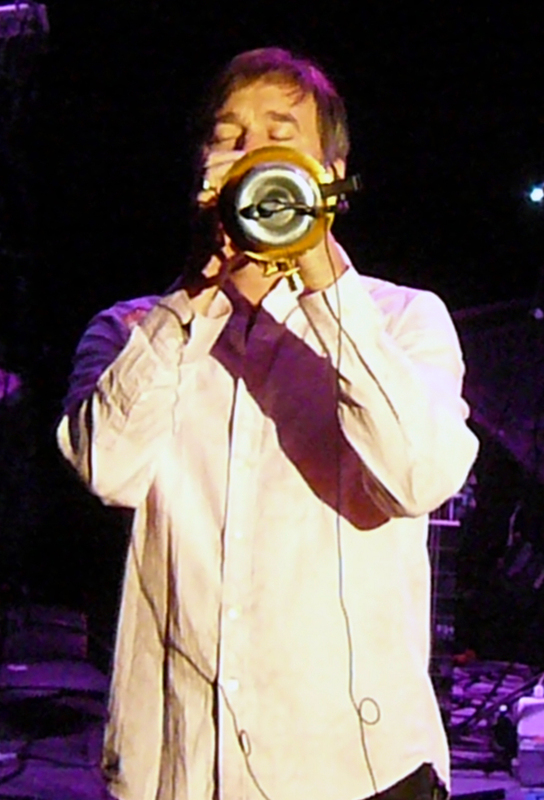 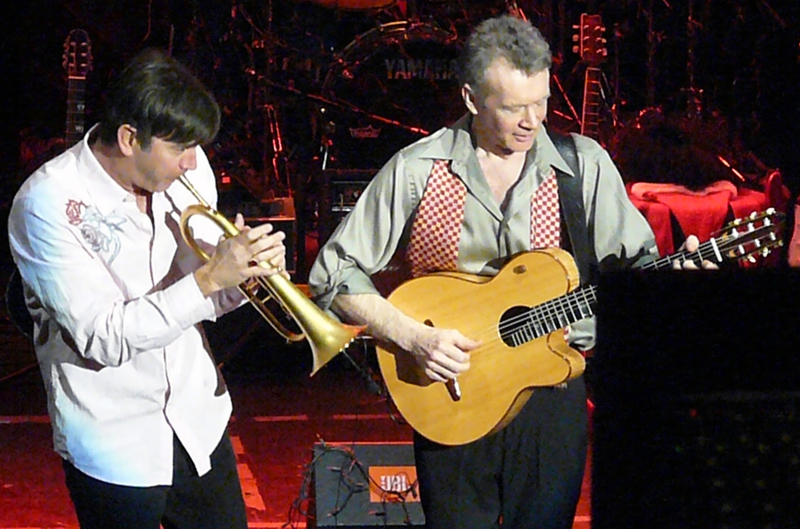 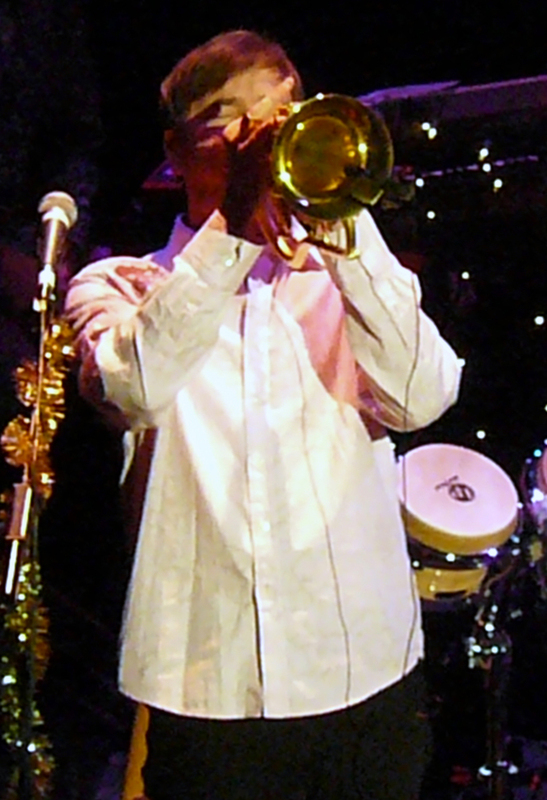 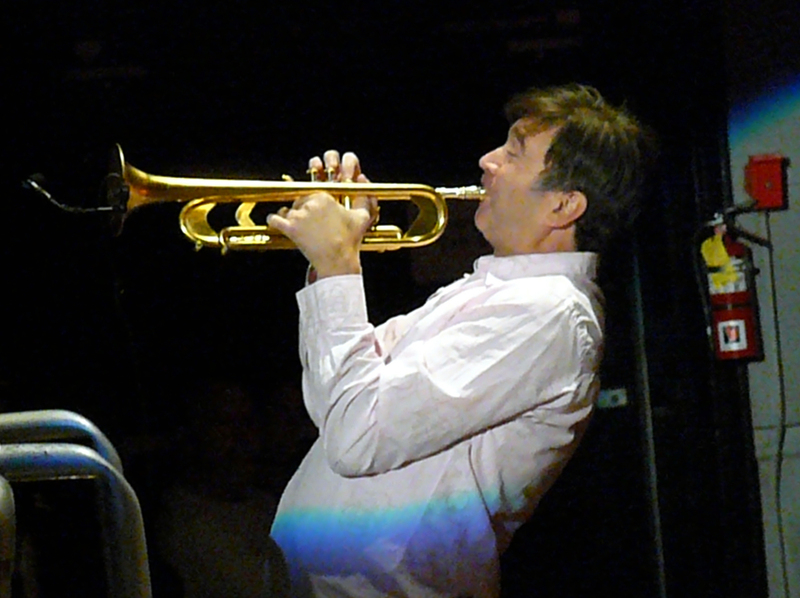 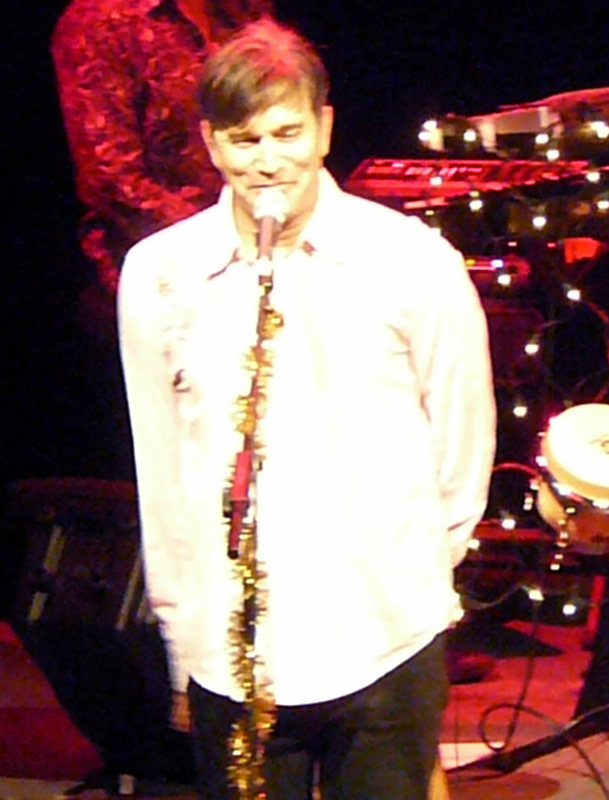 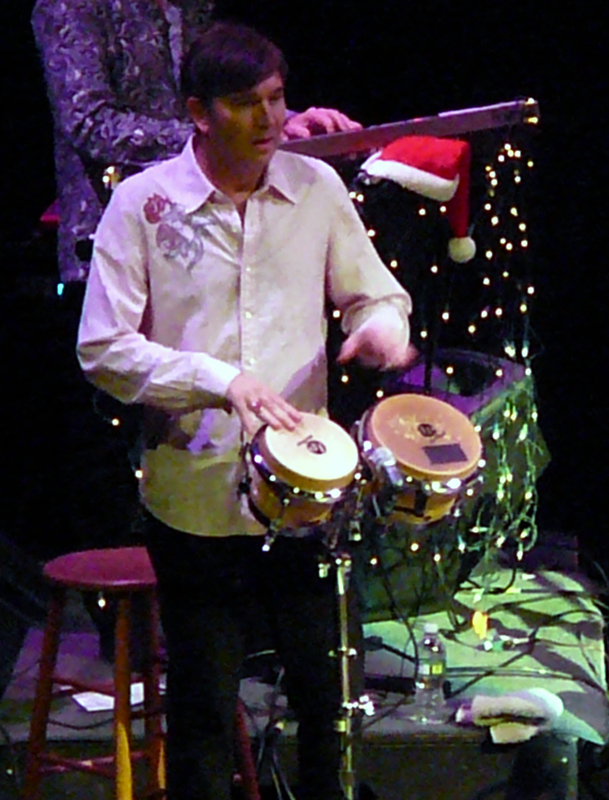 Rick Braun was on the trumpet, flugelhorn, and percussion. 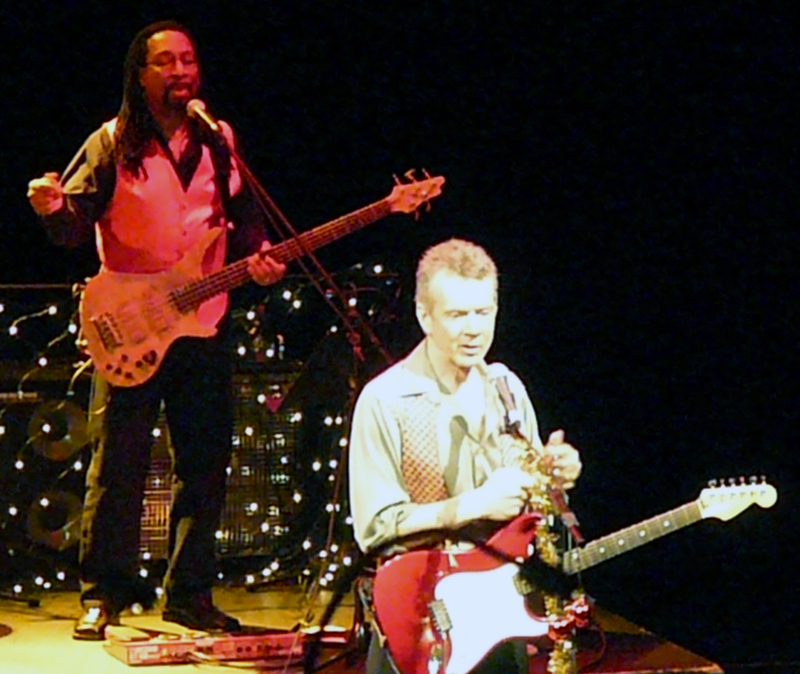 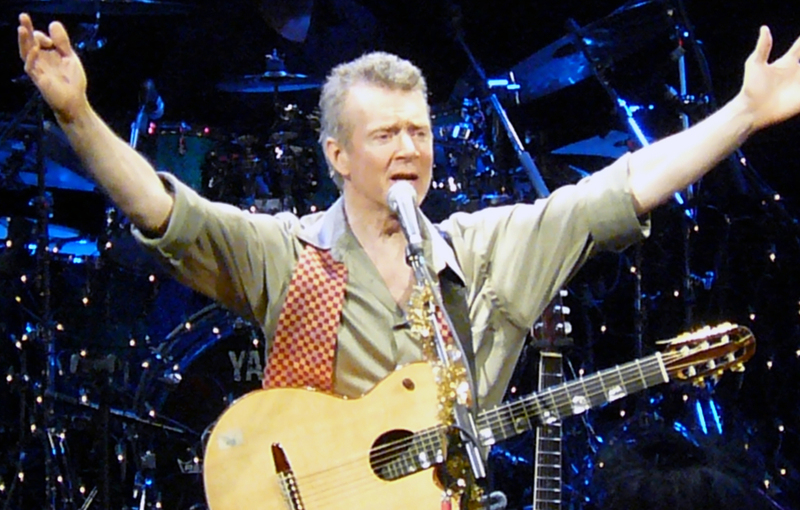 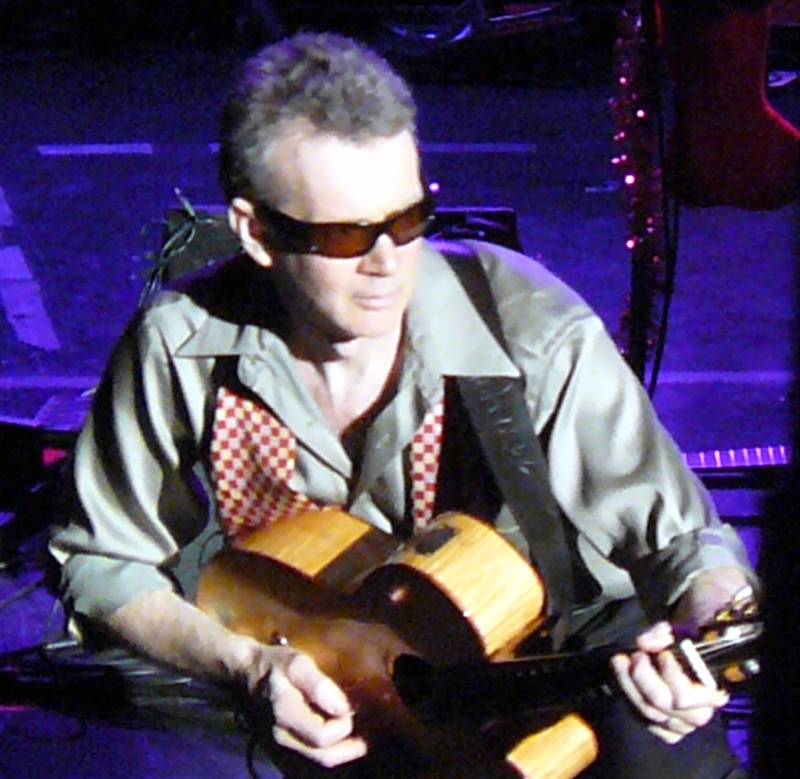 Peter White (right) handled the guitars. 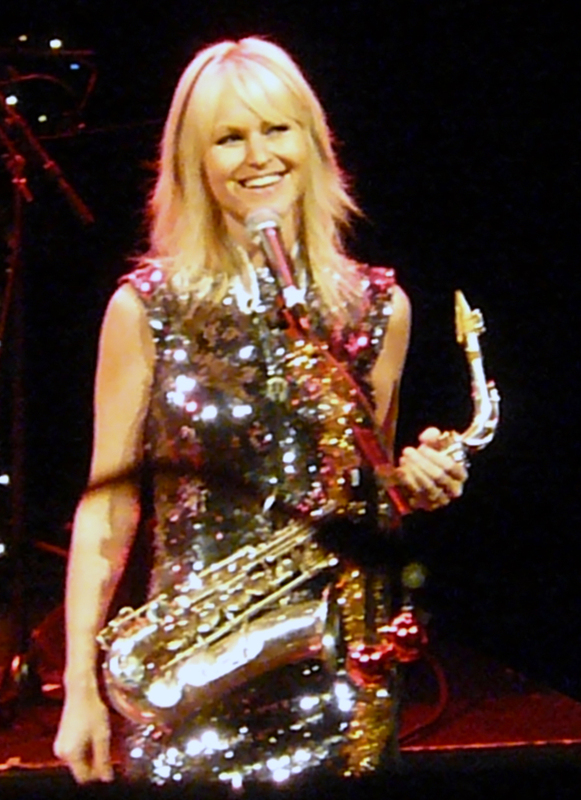 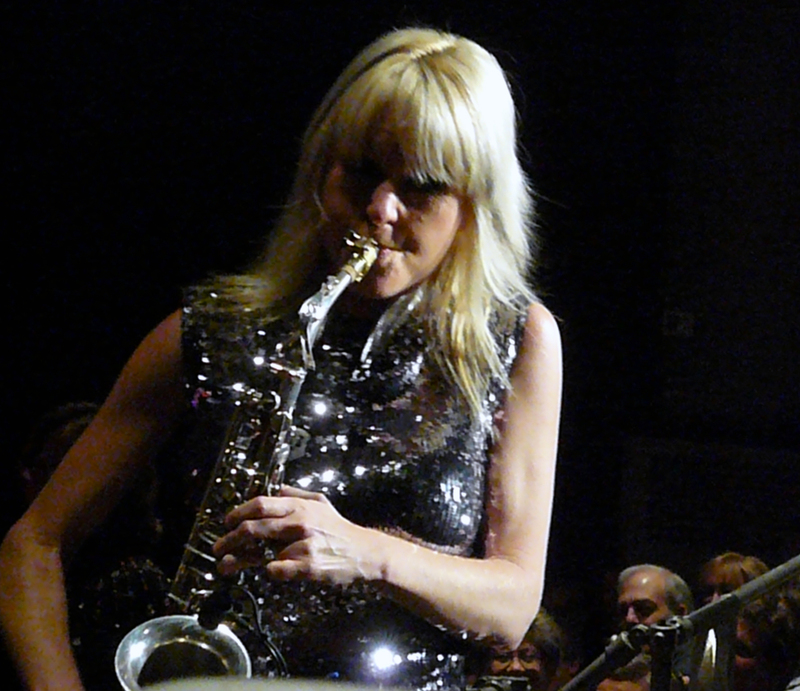 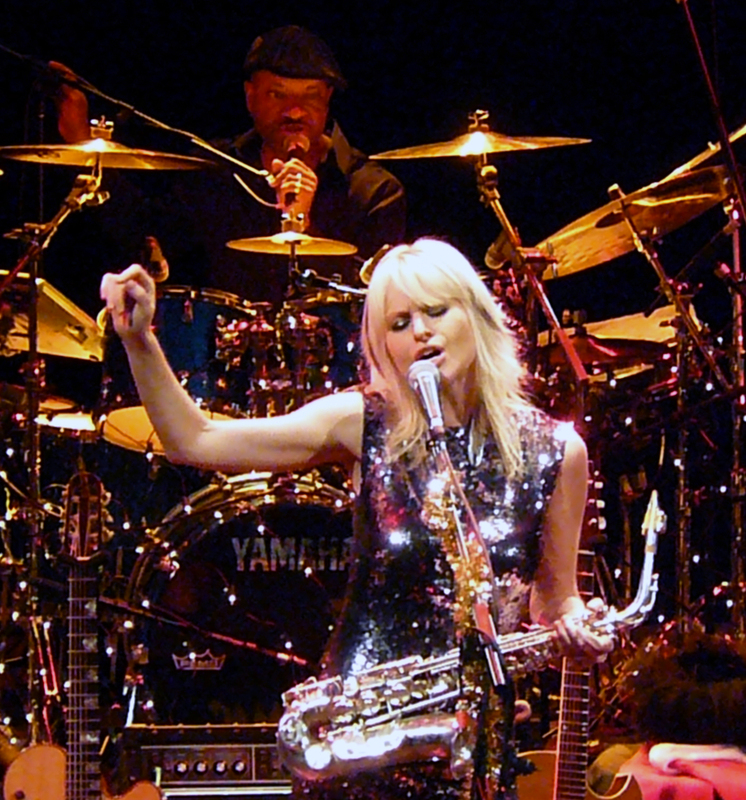 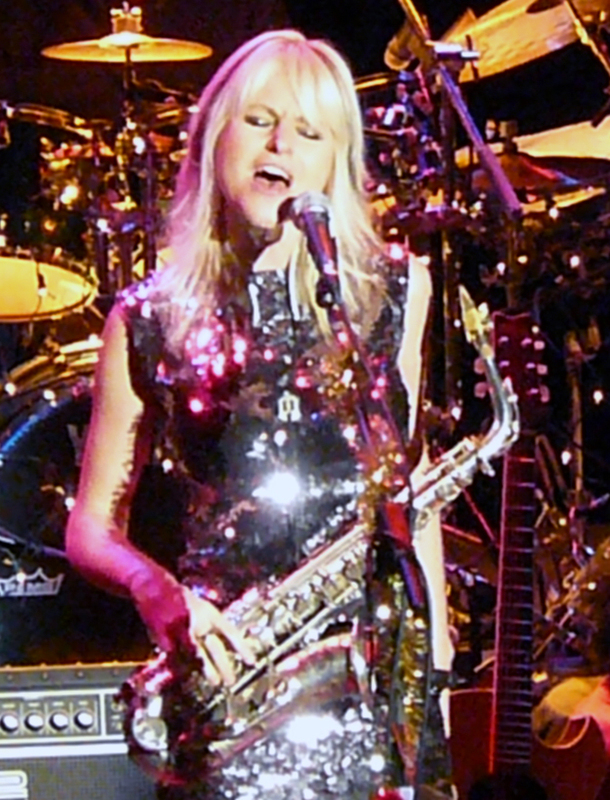 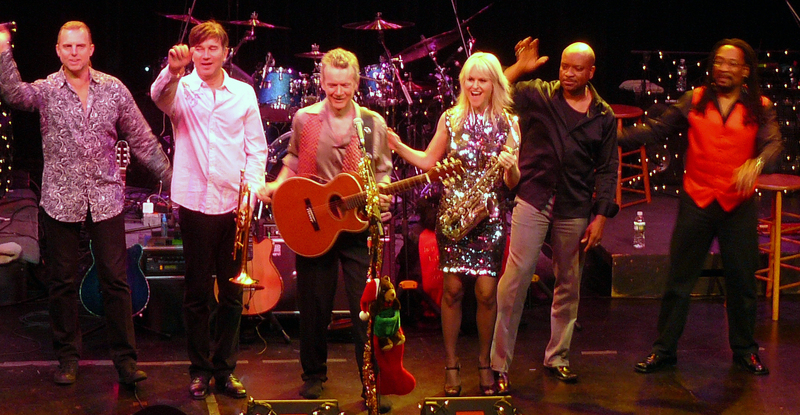 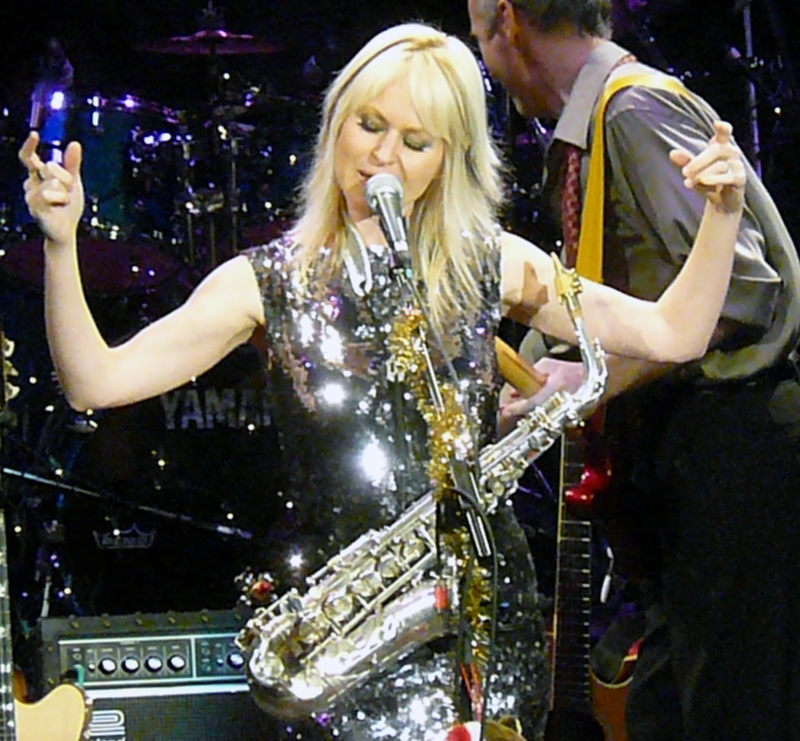 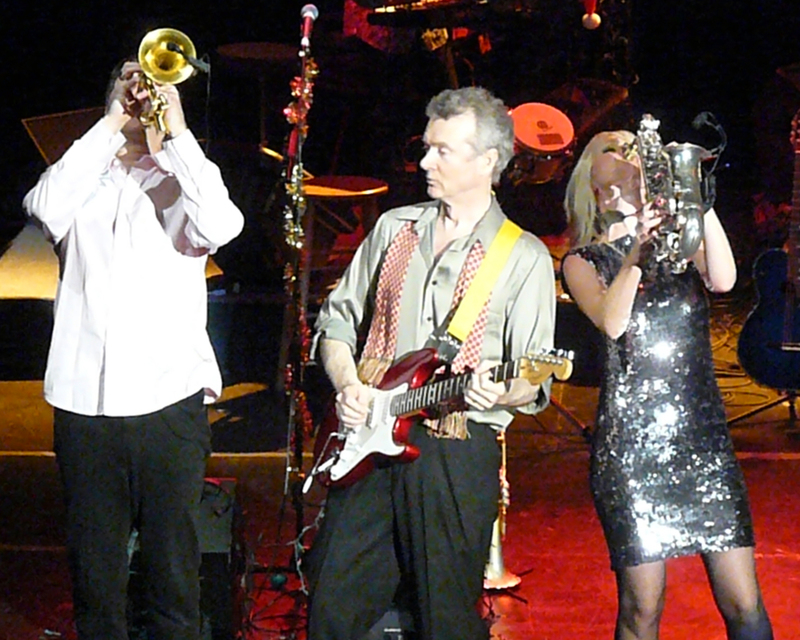 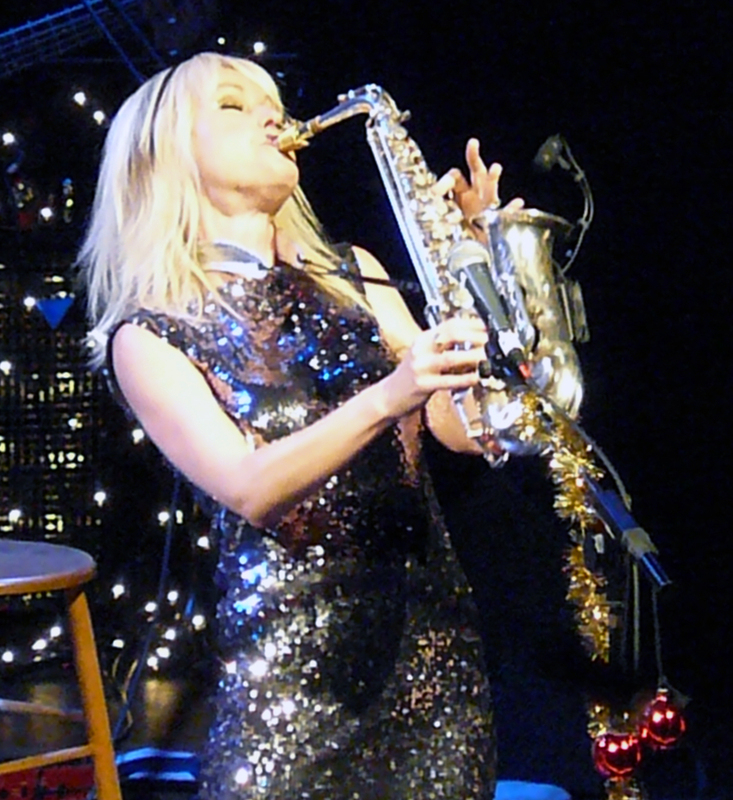 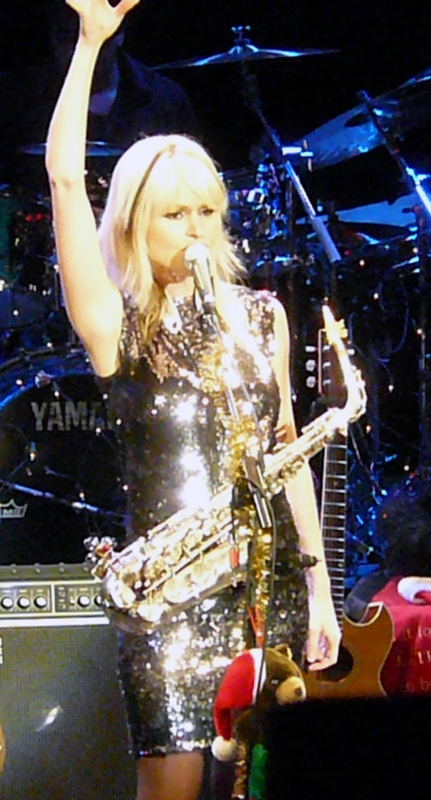 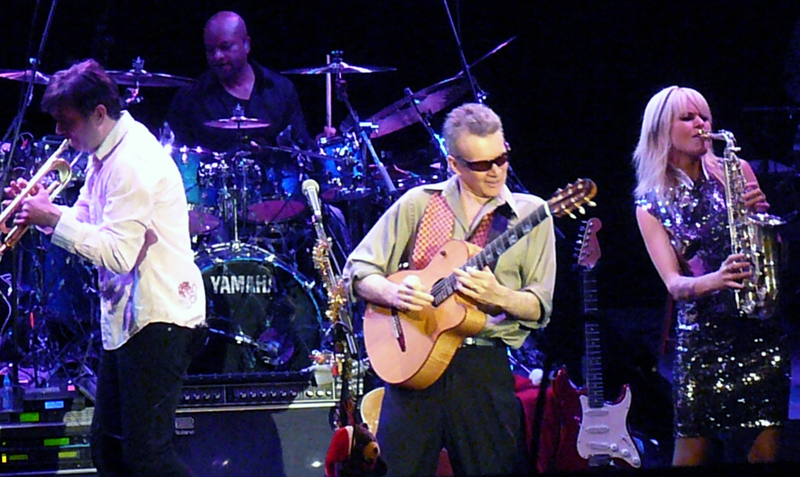 Mindi Abair (third from left) played alto and soprano saxophones. 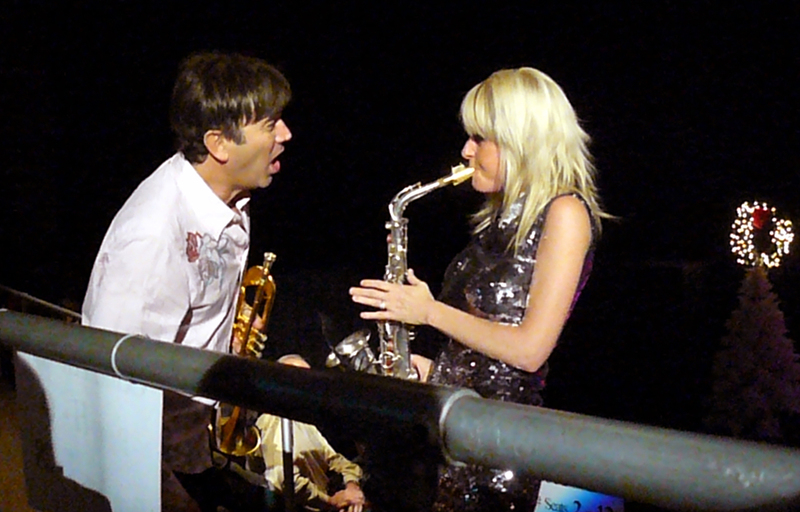 Peter addresses Mindi between songs. 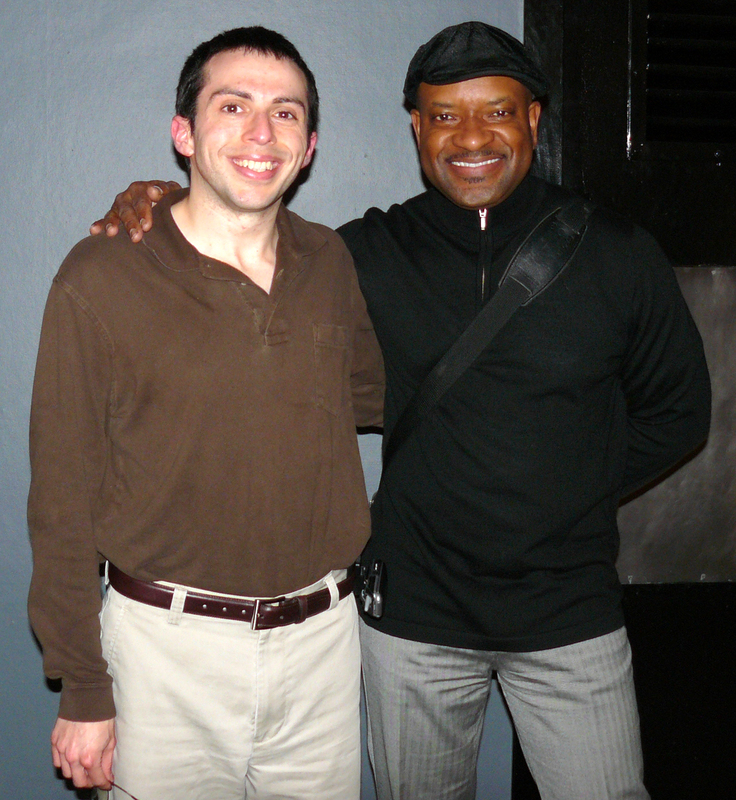 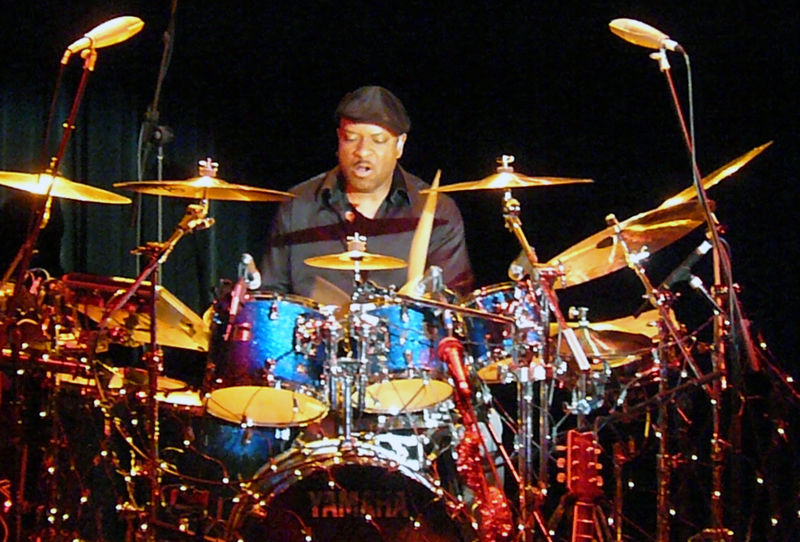 …as did Rayford Griffin (drums; above Mindi) and Rick (not pictured). 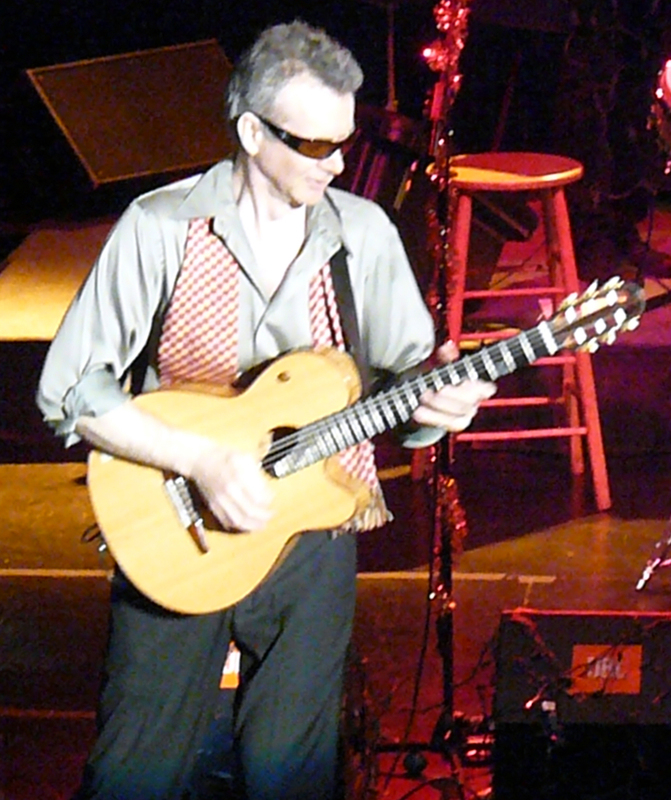 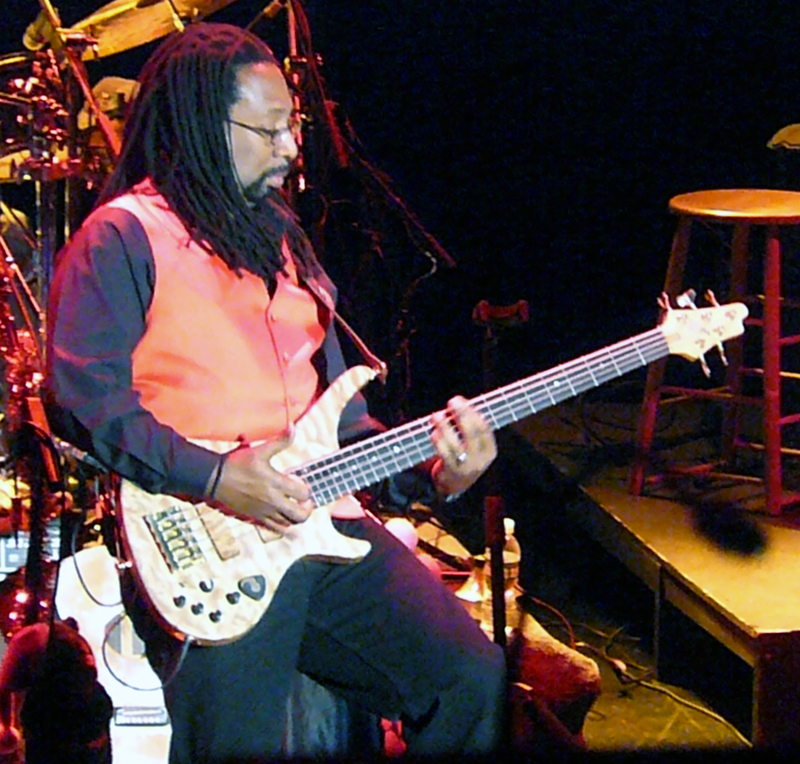 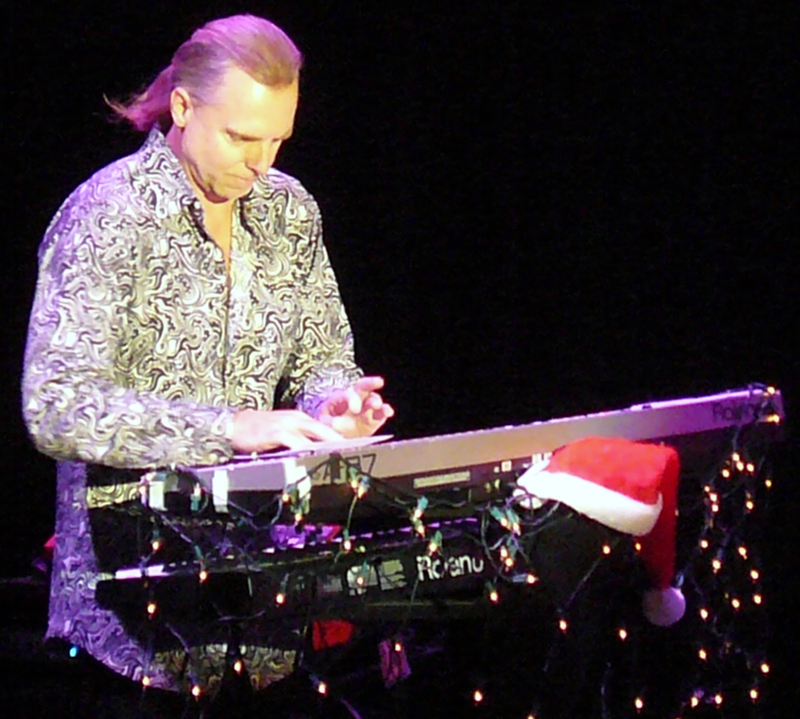 The only vocalless player in the band was Ron Reinhardt (keyboards). 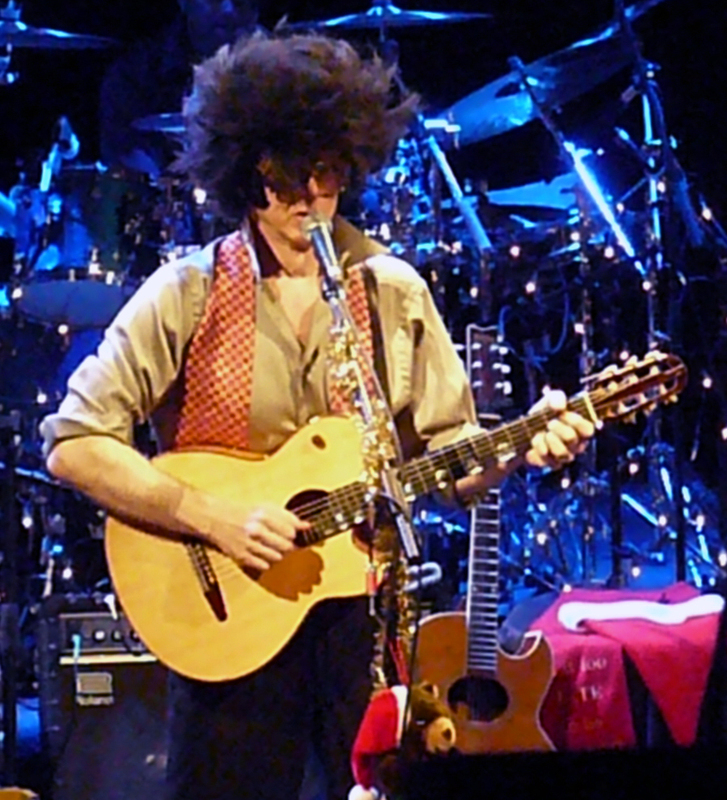 Peter donned an Elvis Presley wig and sang in the late rocker’s style. 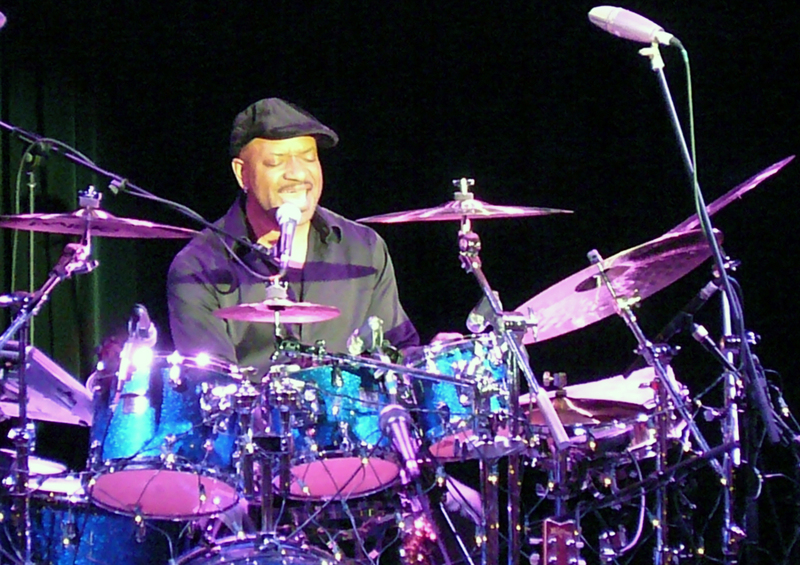 …and a drum solo from Rayford Griffin. 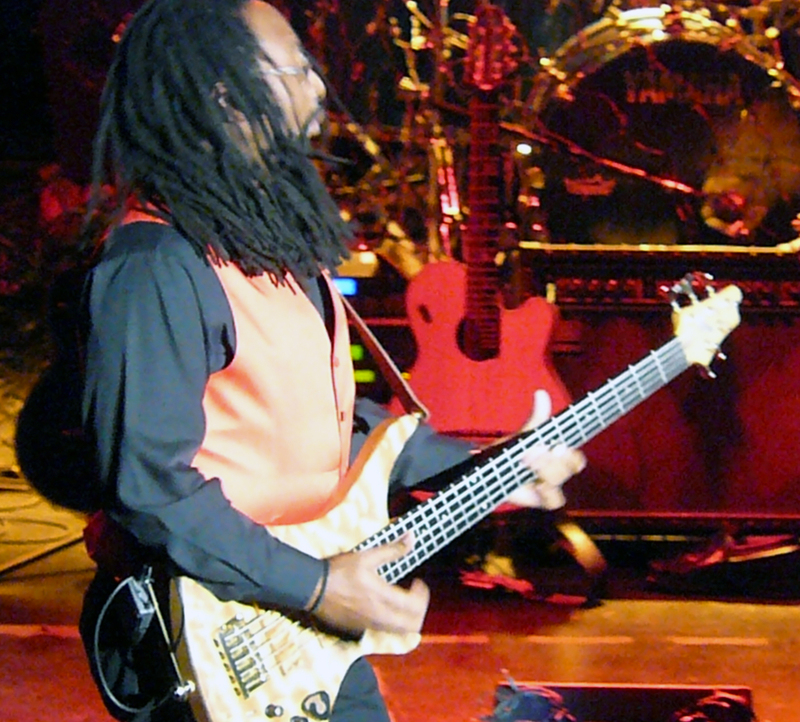 Rayford had a moving vocal solo. 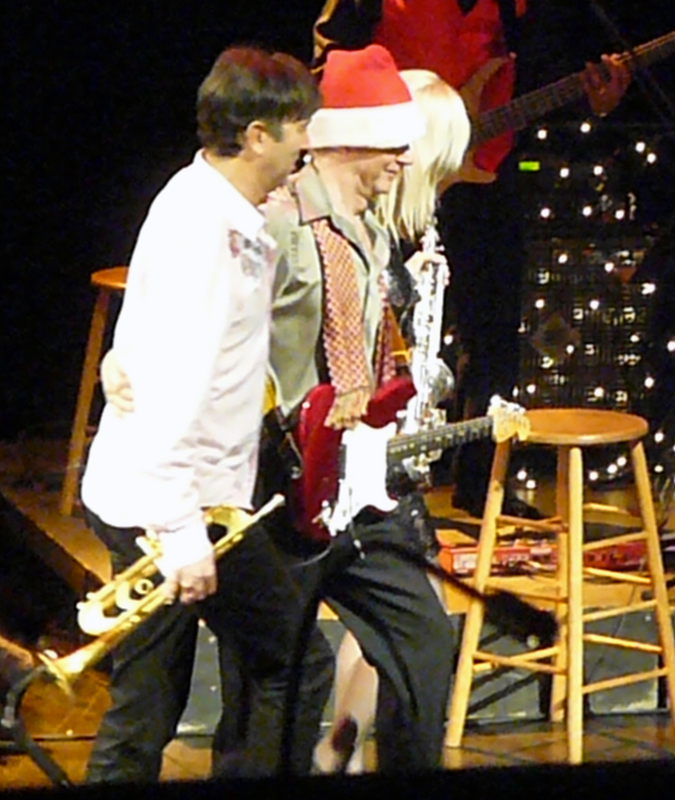 Rick and Mindi came into the audience to perform. 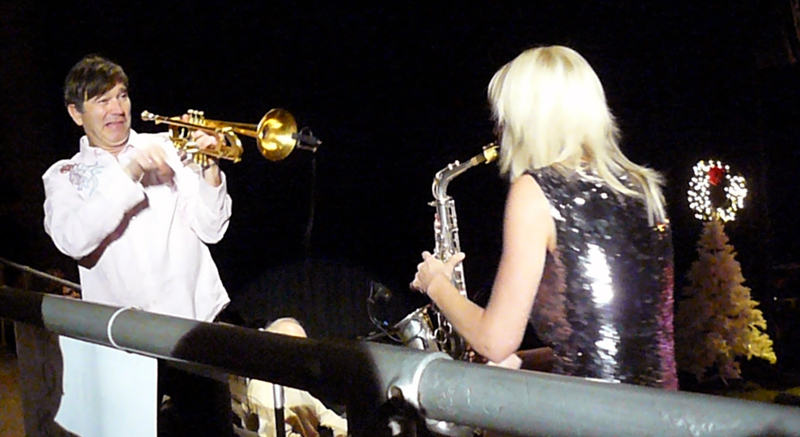 Most of the performance was right next to my section! 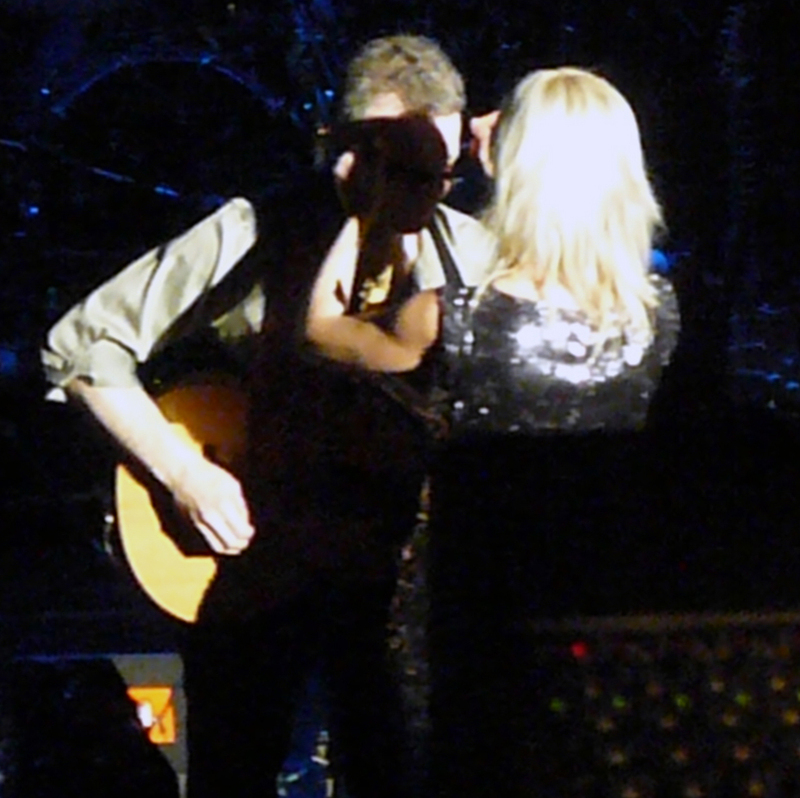 …and to finish the song. 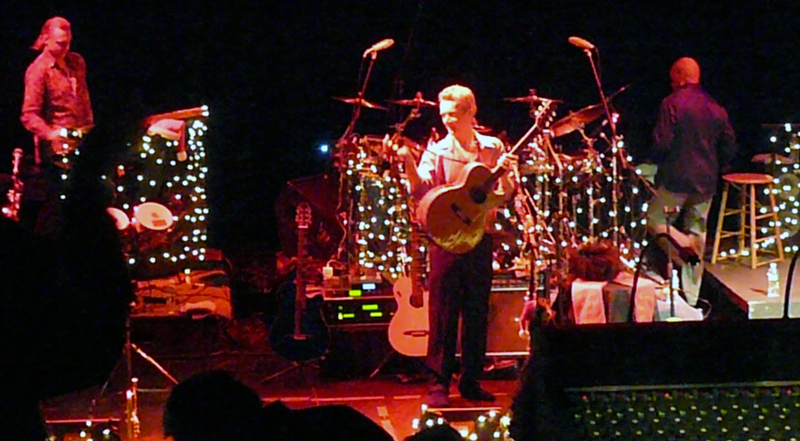 …and returned for the encore. 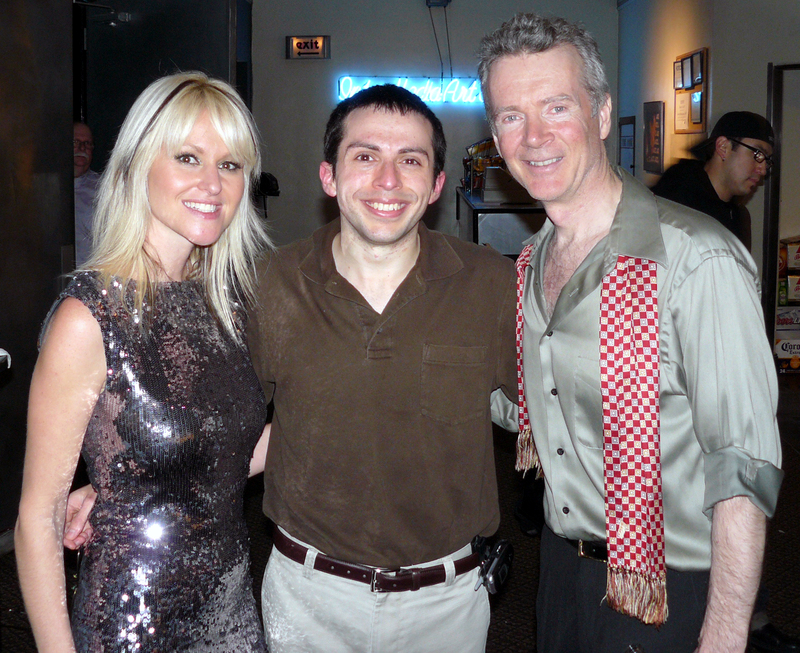 …and caught up with Peter and Mindi. 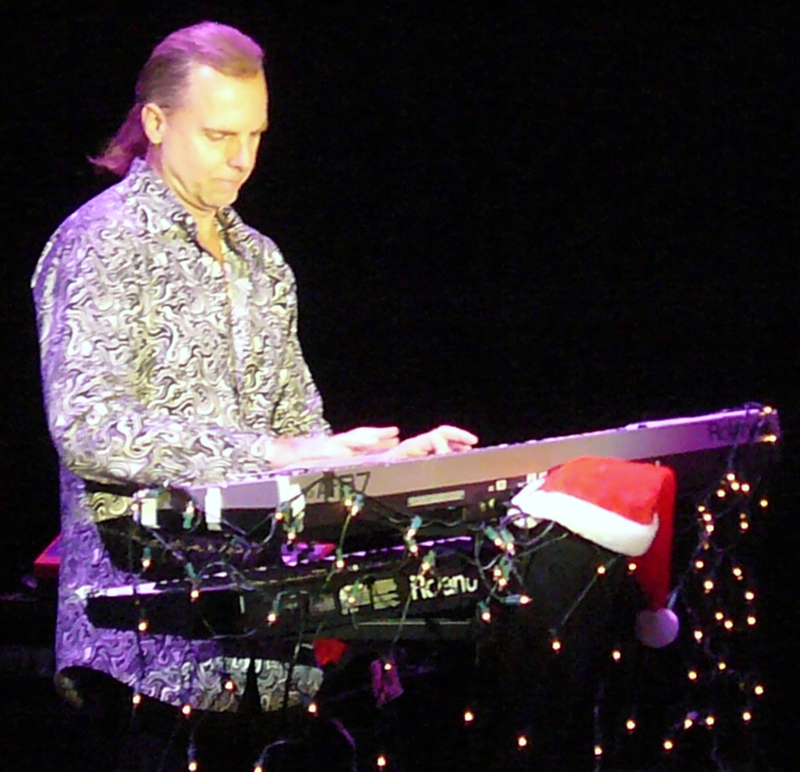 I’m sorry I missed you, Rick. 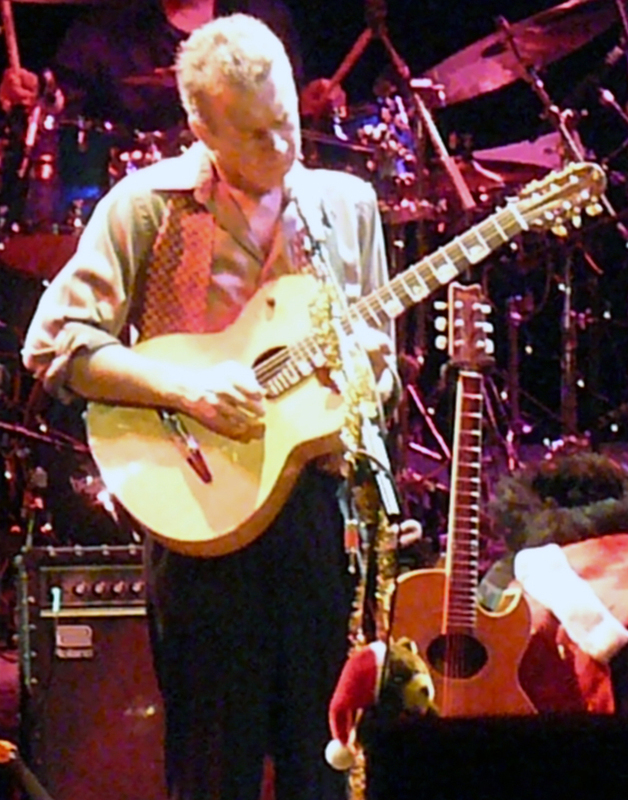 Next time. 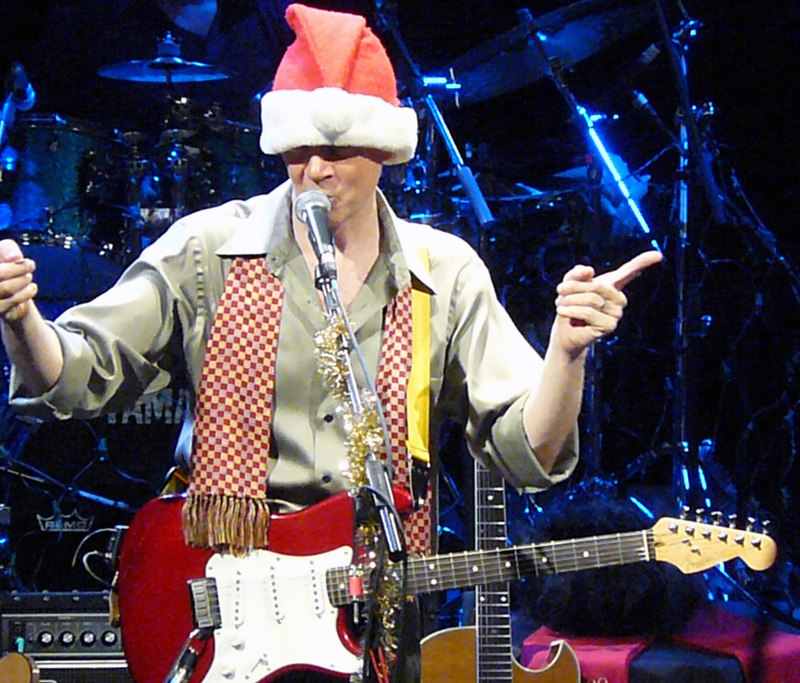 With that, another recap is complete. 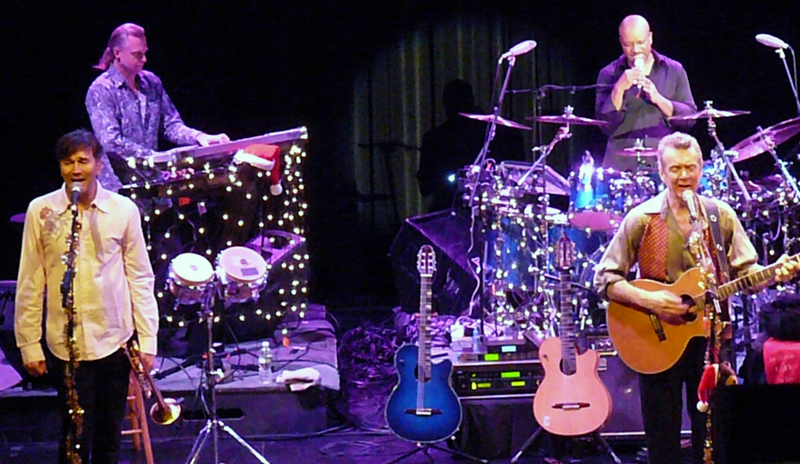 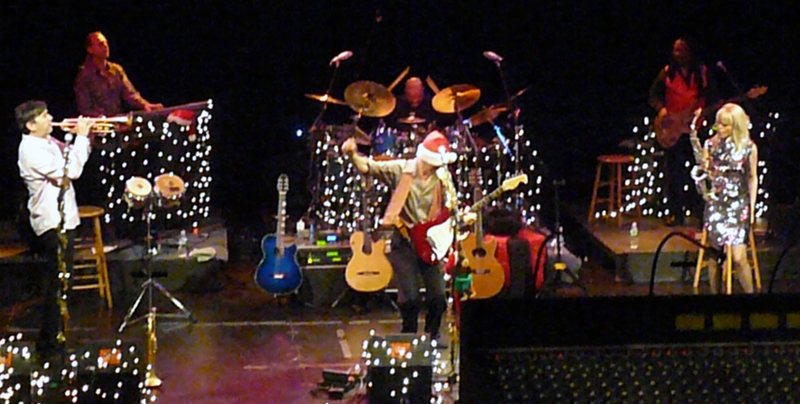 Next week, I’ll have a recap of the Charlie Brown Christmas concert featuring David Benoit.